The affluence of modernized technology and experience gained through the year long experience in the strainer manufacturing has enabled us to provide the outstanding solution for the high pressure operating system to which we have named high pressure basket strainer. This basket strainer is designed according to the international regulation and boasts ability to withstand high pressure up to 6000 psi, making it the truly effective solution for the high pressure requirements. This high pressure basket strainer is created employing the top grade carbon steel material, making it sturdier and stronger against the high pressure and ensures the spotless operation across lifetimes. This basket strainer is extremely applauded in the market as it not only protects the pump, meter or compressor, but also other downstream components. This high pressure basket strainer has won the trust of the industries associated with the high pressure operation, thanks to the precision manufacturing and stringent quality inspections carried out throughout to obtain highest standard range of the high pressure basket strainer. 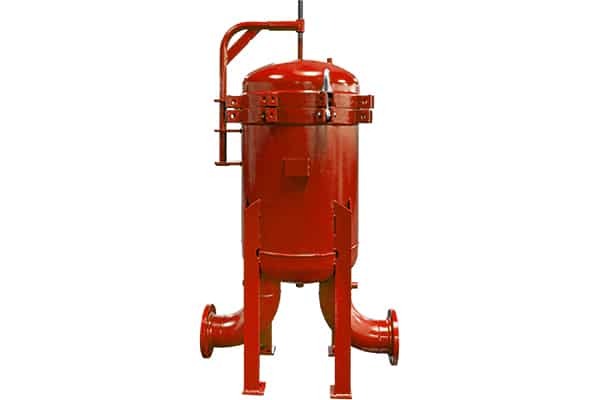 The offered strainer is fitted with the SS basket strainer to effectively filter impurities from the fluid flow and ensure the clog-free performance of the entire system. This high pressure basket strainer is ideal where heavy load of sediments need to remove, as it is easy to remove and emptied within shorted time. This basket strainer we can equip in the simplex strainer and duplex strainer upon customer request, wherein dimensions can customize as per your need, available worldwide at the lowest rate.